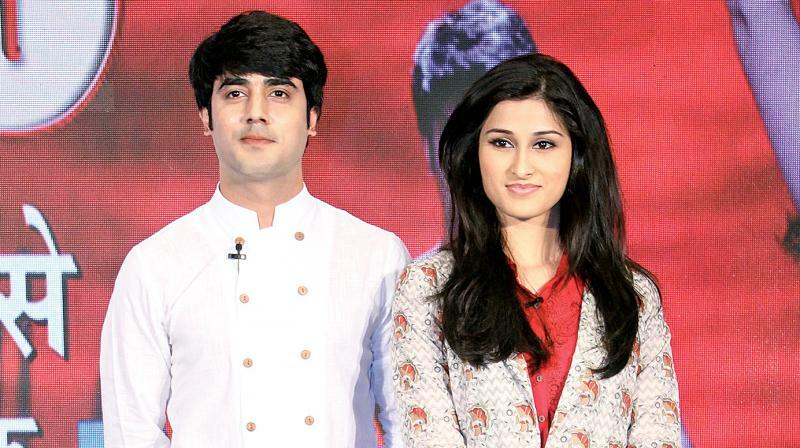 Sheen Dass reveals, as she and her co-star Akshay Mhatre speak about being getting along on the sets of Piya Albela. You both are the most well-behaved actors on the set. Is it the Sooraj Barjatya movie effect, seeing that he created the show? Sheen: I don’t think it’s the effect of the movies but the fact that the people around are disciplined. Akshay: Yes, it is because of his discipline, but then, I always have been well behaved in general. Apparently, Sooraj is really fond of you both and has taken both of you under his wing. Do you feel privileged that such a renowned filmmaker has made you his favourites? Sheen: I think this is the most beautiful phase of my life, professionally, and I am glad to be a part of this show. I thank the almighty that Soorajji has considered me for this role. I couldn’t be happier. Akshay: Yes, it is always good to be launched by such a good director and producer. I feel that given the kind of filmmaker he is, there are a lot of things I can learn from him. Akshay, Sooraj is pretty impressed with your dedication towards your work. How has encouragement from him helped you grow? Akshay: It matters a lot, because this has been his dream and vision for several years and if I am able to portray even a bit of it, and he is happy, that encourages me even more to work harder everyday. Sheen, you have shifted base from Delhi to Mumbai for the show. How difficult was it for you to adapt to the change? Sheen: I was born and brought up in Delhi, and it is as fast-paced as Mumbai. But the mainstream media industry is here. So, I had always thought of shifting to the city, with the intention of working here. I am glad that I have got the kind of work I always wanted and I plan to give it my all. You are playing modern day Menaka and Vishwamitra in the show. Do you think that a concept like this is still relevant in today’s time? Sheen: Of course it is. We are just referring to the older stories of the two characters, but everything is set in the modern times and the stories are told in a contemporary way. .
Akshay: Well, definitely, at the end of the day, it is a love story, and love stories always remain relevant and keep repeating in some way or the other. So, it is definitely relevant. Tell us about one thing you like about each other and one thing you dislike. Sheen: He was the first person, who I had confided in about finding it difficult to put forth my opinions on the set, and he gave me the right advice at that time. There are a lot of things that I like about Akshay, like he is a very warm person, he respects everybody, and when he is acting out a scene, he doesn’t hold back. What I dislike about him? I guess I haven’t known him long enough to be able to point out what I dislike about him. Akshay: The one thing I really like about Sheen is that she is extremely hard-working, and she has a constant craving to learn and keep improving, which is good for an actor. What I dislike about Sheen, I think is the fact that she gets scared really easily. If someone tells her something she doesn’t agree with, then she gets a little scared to put forth her views. So, who is the jasoos on the set who gets all the gossip — you or her? Sheen : My make -up room. Sheen: There isn’t much stress. Akshay: The whole crew, we all diffuse stress, not create it.